In this day trading course you're going to get an in depth education on penny stocks, find out which trading indicators are best and learn how to trade the most popular momentum strategies. If you’ve been searching for online day trading courses then you’ve come to the right place. In our day trading course you’re going to learn how to get started as a day trader. We highly recommend that you take this course if you are new and before you enter our trade room. It’s a statistical fact that over 90% of traders fail. That’s why it’s very important to spend months studying and using a virtual stock training account first before you begin trading with real money. We’ve heard many people say that trading with a virtual account isn’t like trading with real money. It’s totally true. It is different. 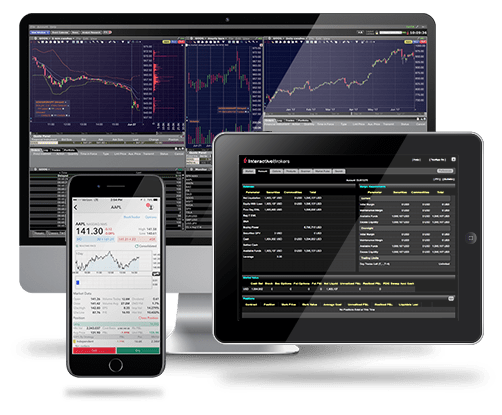 However, if you haven’t developed proper discipline techniques and have yet to create a proven track record of success with a virtual account then it will become very difficult to succeed trading with real money. Trading takes time and energy to learn, it gets easier as it goes on. In the beginning, it takes massive discipline and the ability to overcome your emotions. As a trader, you are up against thousands of years of human emotional evolution! Day trading typically moves quickly. You're trying to get in and out before everyone else. As a result, it can mess with your concentration and/or your confidence; especially as a new trader. Knowing all the technical analysis and patterns in the world won't prepare you for the toll a losing or even a winning trade can take. It may sound funny to think that winning trades can take a toll mentally, however, it does. Getting cocky is a great way to lose the gains you've made. Just like losing trades can affect your confidence to place trades. Your emotions get the better of you when you're terrified about getting into a trade that'll take more of your money. In order to be a solid trader, you want to have a healthy amount of confidence and fear. It's all about respecting the market and trading what it gives you. Trading can be lonely especially as a new trader with questions. Hence the importance of finding a good community; a place where you can ask questions and see the strategies of other like minded traders. We have a great stock market trading community on Facebook. Our goal is to keep the trolls and the spammers out. As a result, it's a safe place to go and ask questions as well as find that camaraderie of like minded individuals. People who are all working towards the same goal; to be the best traders they can be. All of this is achieved through interacting with our members in our trading rooms. Not only do we have a day trading room but also a swing trade room and futures trading room. Our goal here at the Bullish Bears is to give our members the tools to be self sufficient in trading. We're teachers not stock pumpers. As a result, our community members become their own guru instead of following the leader. This gives you, the trader, the best possible success rate. Trading is hard and being able to trade your plan gives you control over your trades. Whereas following someone in and out of trades removes your power. Our trade chat rooms are full of positive traders ready to help. Here at the Bullish Bears we post stock watch lists with stock alerts each night with our trading service. These trade alerts aren't buy signals because we're not pumpers. Instead we map out support and resistance and let you know what areas to be aware of. Then you can make an informed decision on whether or not it's a trade you'd like to make. It's important to remember that you're in control and that's the best place to be as a trader. You get to see what we're watching and why but placing the trade is up to you. Which is how it should be. We have a YouTube playlist that's filled with videos on watch list building. As a result, you can learn how we build our watch lists and set our alerts. It’s important to have at least a 2:1 profit loss ratio on every trade that you make. If you risk $0.10 then you need to be able to make $0.20. If you risk $0.50 you need to be able to make $1.00. And so on…Never risk more than you’re able to potentially make. Looking to learn stock trading? If you’re new to trading then make sure to take our trading courses. We also have a ThinkorSwim course to help you get your virtual account set up as well as an options trading course if you’d like to learn more about options. Are you ready to get started? If so, then take our day trading course below.